Each generation has been affected differently by the deepening global recession. Baby boomers have witnessed their retirement savings evaporate into oblivion. Generation X families who finally saved enough for a down payment on their first house find themselves deep underwater without SCUBA gear. And earnest Millennials fresh out of college are wondering where all those high-paying jobs promised by duplicitous corporate recruiters went. No doubt the economic collapse is most palpable for the Boomer generation. Closing in on retirement, many are now holding off on purchasing that winter home in Florida. Moreover, many Boomers have no other choice but to delay retirement (provided they have managed to keep a job) in order to maintain current lifestyles. Ironically, this may not be too much of a stretch for the ‘forever young’ generation who has come to define themselves by their occupations. Yet this does pose a problem from those who are actually young and currently entering the workforce. Over the past few months I have witnessed many of my 20-something peers lose their jobs – not to mention me as well. This contradicts the popular, yet flawed notion that ‘technologically savvy’ Millennials are rendering older workers obsolete. It is clear now that upper management at corporations across the country have opted for a more conservative approach to hunkering down. This includes letting go of those with less experience (low on the company ladder) and closing the door completely to new hires out of college. 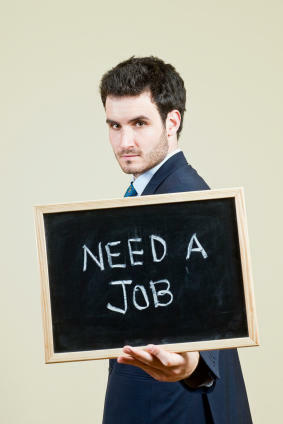 Justin Pope of the Associated Press has confirmed that college graduates face the worst job market in years. As is indicated in Pope’s article, employers plan to hire 22% fewer graduates this spring – an alarming statistic reported from a survey conducted by the National Association of Colleges and Employers. Perhaps one of the more unnerving new realities spawned by the recession is what appears to be the diminishing returns to education. Even those graduating with J.D. or M.B.A. degrees find themselves in panic mode. Traditionally, these prestigious degrees meant relatively high salaries right out of grad school. Yet with law firms laying off in droves and corporations slashing entry-level positions, not only do graduates with fresh Master’s degrees find themselves without any job prospects, many are stuck with exorbitantly high student loan bills. So what are Millennials doing to ride out the storm? Those who do have jobs are hanging on for dear life. Some are applying to graduate school with the hopes that the economic climate will be better by the time they graduate. Others, like 26 year-old Michael Kaainoni have opted to move back home. After graduating from Columbia University with a Masters in Architecture degree last year, Michael landed a job at a large international architecture firm in Manhattan. Only months later, he found himself caught in a wave of corporate downsizing. Rather than scrape by and continue to pay ridiculous New York City rents, Michael opted to move back to his hometown of Kailua, Hawaii. Now living back in Hawaii, he works for a local architecture office that gets steady commissions from the government. Michael’s story is not uncommon for young people these days. The Millennial generation does not share the same horror about moving back home as the rabidly ‘independent’ Boomers or Gen Xers. Rather than seeing a retreat back to the nest as taboo, many Millennials will tell you that this is just smart financial planning. In many ways the Millennials may be following not the boomers but the experience of immigrants. For decades strong family networks have allowed immigrants to the U.S. to become ‘upwardly mobile’ despite all sorts of disadvantages from lack of English fluency to discrimination. Now that this secret is out into the mainstream consciousness, the ‘going it alone’ mentality is rapidly disappearing. Familial and community support networks are making a strong comeback out of financial necessity – and probably for the better. Derided as the ‘everyone gets a medal’ generation by cultural commentators who believe that young people today have a bloated sense of self-esteem, most Millennials just want to live secure, modest lifestyles. This observation goes against everything that civic boosters and urban real estate speculators have hoped for during the recent boom years. With the notion that lifestyle trumps employment, urban planners have been deluded into thinking that by turning cities into expensive playgrounds, they will attract the best and the brightest young workers. This was an idea touted by urban theorist Richard Florida in his highly influential book “The Rise of the Creative Class ”. Florida claims that, according to his focus groups, young creative people do not want to live in places that “do not afford a variety of ‘scenes’”. The idea that young people can choose their city at will based on lifestyle preference does not make much sense given the current economic circumstances. Job opportunity and affordability, not to mention family ties, are more likely to dictate where young people end up settling now and in the immediate future. Furthermore, many of the ‘lifestyle amenities’ – such as cool coffee shops, farmer’s markets, and culturally diverse restaurants – desired by these young creatives can now be found in more affordable environments outside of the traditional urban core. By the time this recession is over, Millennials may have passed their ‘city phase’. This spells bad news for places that have banked on spurring a renaissance driven by young people who often like urban settings but can no longer afford the luxury. Neighborhoods like San Francisco’s SoMa or downtown Los Angeles could be the losers. Cities completely missed the boat by allowing greedy real estate developers to build expensive condos for a largely ephemeral surge of Boomer empty nesters while ignoring basic issues like quality of life, safety and affordability. Millennials will bounce back. As the youngest generation in the workforce, they will be defined by the experience of the current economic slump and take its lessons with them throughout their lives. Instead of greed and selfishness, which is likely to define the Boomer legacy, Millennials will more likely resemble that of their grandparents’ generation – one where family and frugality is valued over individuality and self-interest. Adam Nathaniel Mayer is a native of the San Francisco Bay Area. Raised in the town of Los Gatos, on the edge of Silicon Valley, Adam developed a keen interest in the importance of place within the framework of a highly globalized economy. He currently lives in San Francisco where he works in the architecture profession. Submitted by stod2001 on Mon, 11/16/2009 - 19:47. Sounds like you are just upset with the Millennials! I really liked the statement in this article "Instead of greed and selfishness, which is likely to define the Boomer legacy, Millennials will more likely resemble that of their grandparents’ generation – one where family and frugality is valued over individuality and self-interest." I agree, Boomers in many ways were greedy, they fueled the sub-prime lending fiasco that we are in today and fueled one of the main reasons that it is so difficult for Millennials to find good paying jobs, or at least ones with decent upward mobility. Millennials are hard workers and have a lot to offer the work place, given the chance. I believe that this generation will prove to be much like that of our grandparents and go back to financial responsibility and get the country back into better working order. I really like this piece and I believe that Adam has written a good piece and does well to stand up for the Millenials and what we have to offer. Submitted by Dex on Mon, 04/13/2009 - 21:41. Mr. Mayer’s lofty assertion that those of his generation view the current economic crisis as an opportunity to revisit more modest family values is nothing but a poorly veiled attempt to rationalize what so overtly plagues Millennials in life and the workplace: a deluded sense of entitlement and inability to adapt. That he contemplates a future for Millennials remotely analogous to the proven bootstrap tenacity of the Greatest Generation is absurd. Memo to Millennials: So, you’ve been fired. Pack-up your cubicle, dust yourself off and pick-up a broom; you’re all grown-ups now. Submitted by lukelea on Mon, 04/13/2009 - 17:16. Interesting observations. I particularly agreed with your remark that family networks of support and the connections families provide are more important than is generally recognized, at least in the media. It certainly worked for me, a broken down hippy, when I left San Francisco and moved back to my hometown of Chattanooga, where I have been happy ever since. Even if I did have to wait a quarter of a century to get a decent cappuccino. Of course the internet helps too.